Important message ... Please Share!!! Another way to assist those in need due to the hurricane and flooding. **All orders placed Monday, August 28th through Friday, September 1st. ** 5% of your product total will be going to Red Cross Harvey for Hurricane Harvey disaster relief. Incense-Incense will be taking the full total tally on Saturday, September 2nd and contacting them to deposit funds. Watch for post updates on amount and deposit in this post. We send our love and prayers to those in need. Please light your candles, set up your alters, smudge the air, light a stick and do what you do best in sending love to where it is needed. If you can't make a purchase to assist please call 1-800-435-7669 to donate by phone. This is the direct number for Red Cross. Amanda PS ... I hope all of our customers in this area are taken care of. Check in with us and let us know you are safe. This weekend is the Summer Sale online. When you order through the website you can receive 17% off your total product. Enter code "SUMMER" in the code box when you are in checkout. August 5th-August 7th you can take advantage of products you haven't tried before at Incense-Incense. This is your source for The Finest Incense in The World. Ramakrishnananda Incense are hand- rolled, crafted and formulated from only the finest natural products that are available. Every stick is lovingly prepared from only a premium variety of flowers, fine resins and specially selected herbs. Ramakrishnananda's Incense is manufactured in a cottage industry market providing a living wage and benefits to their employees. 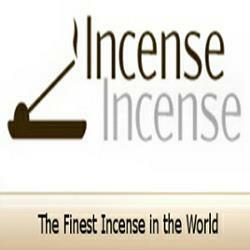 I'm proud to carry their incense in the store as it is highly recommended. I have to say this is another one of my favorite Indian lines to burn during meditation and spiritual journey's. I offer twenty-seven different packets between the devotion line and meditation line. Each packet is beautifully designed and holds 10 sticks. As well as carry the Holy Ganga Water, Holiday Incense Gift Packages (for love) and Attar Perfume Oils line. This is a very affordable line to be able to burn daily and use in small spaces.